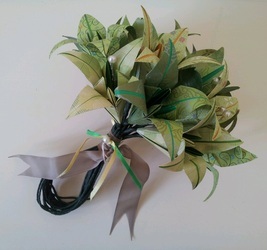 For wedding related flowers, please see weddings section Here. 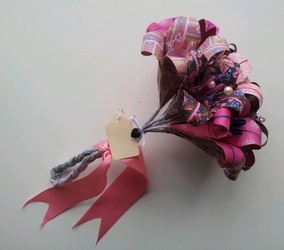 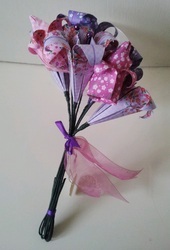 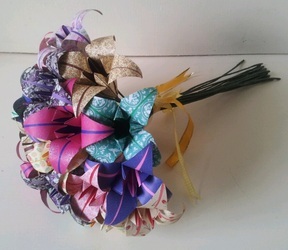 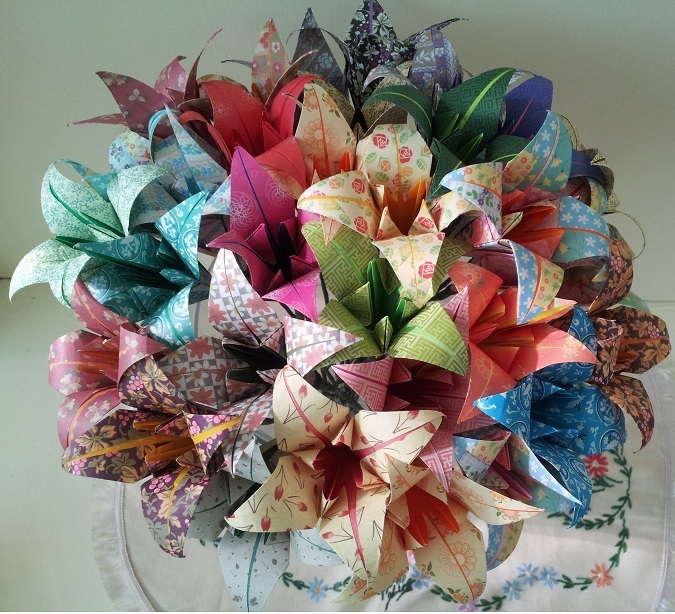 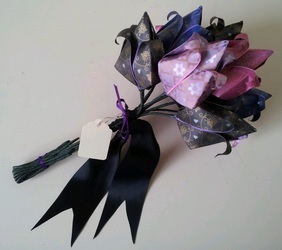 My website flower shop sells a selection of my most popular bouquets in various sizes. 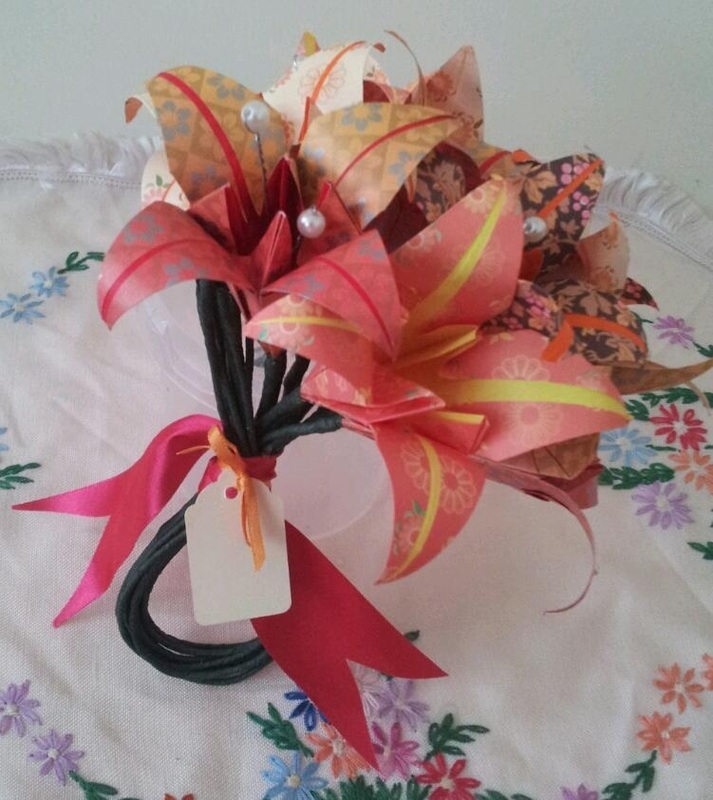 All colours can be selected by the customer should there be a preference. 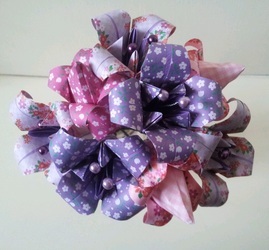 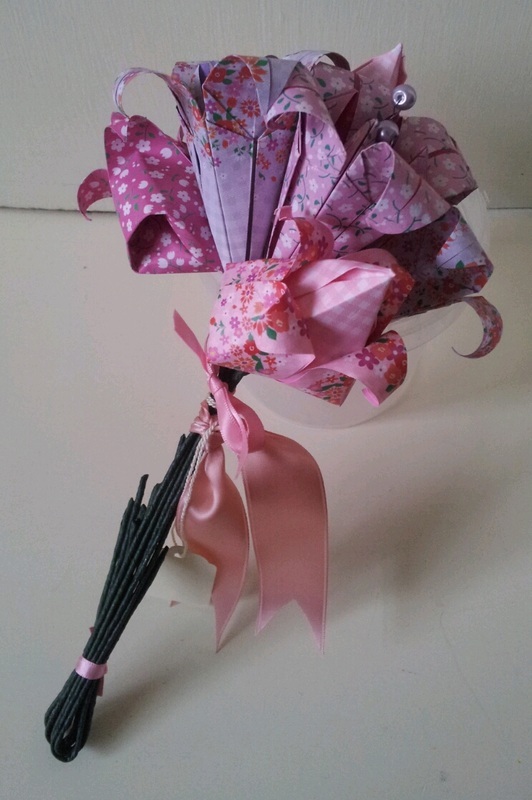 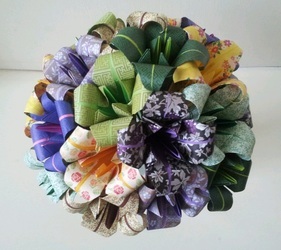 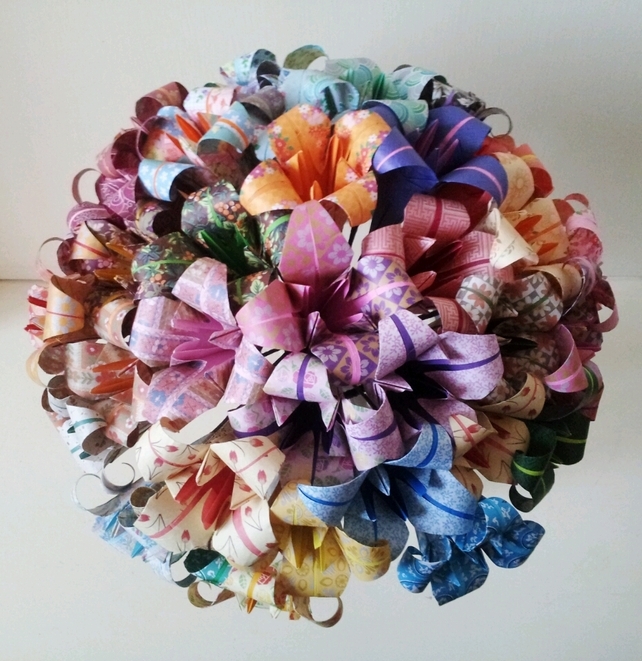 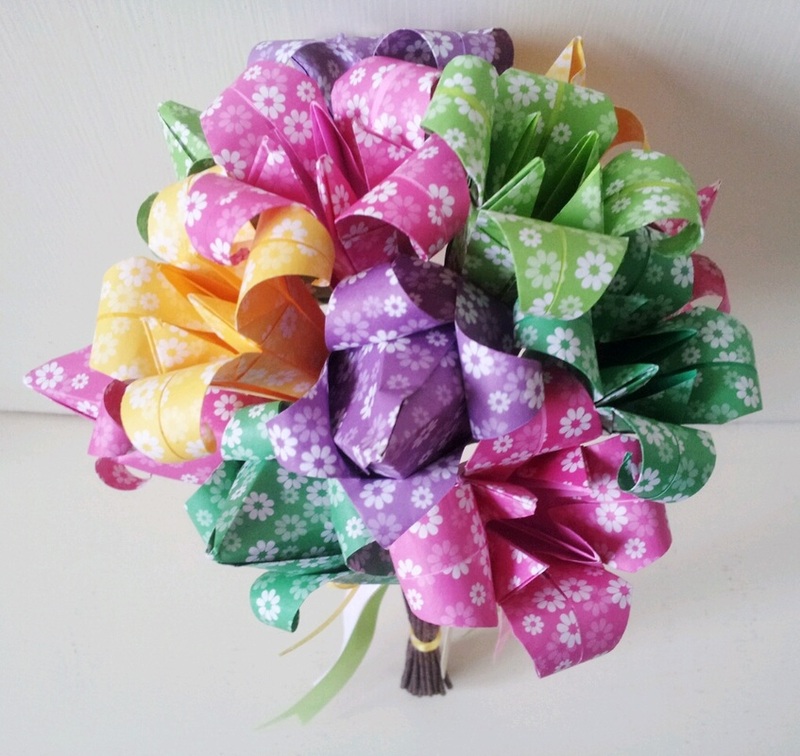 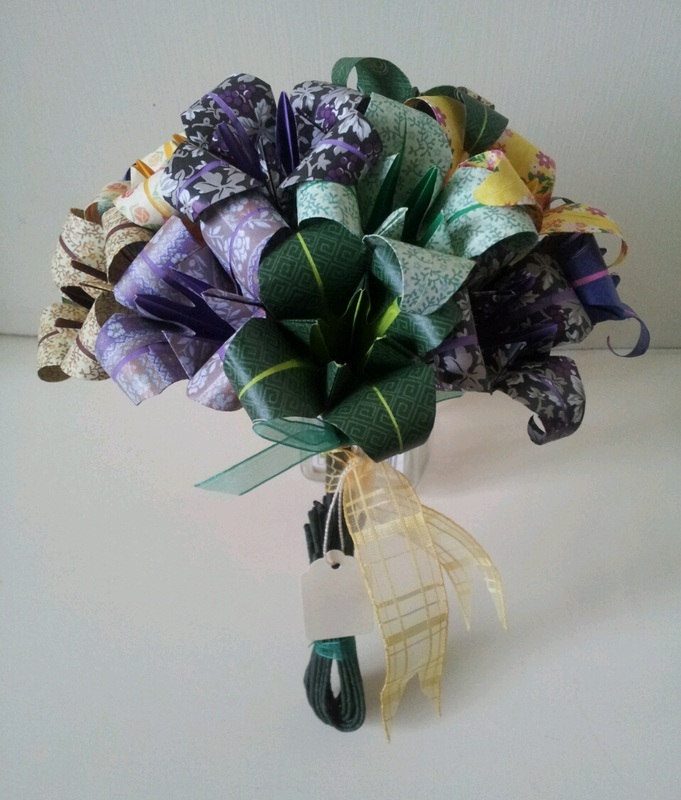 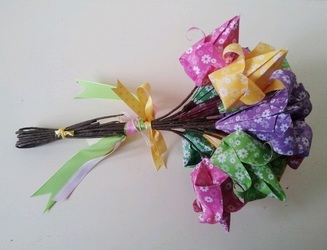 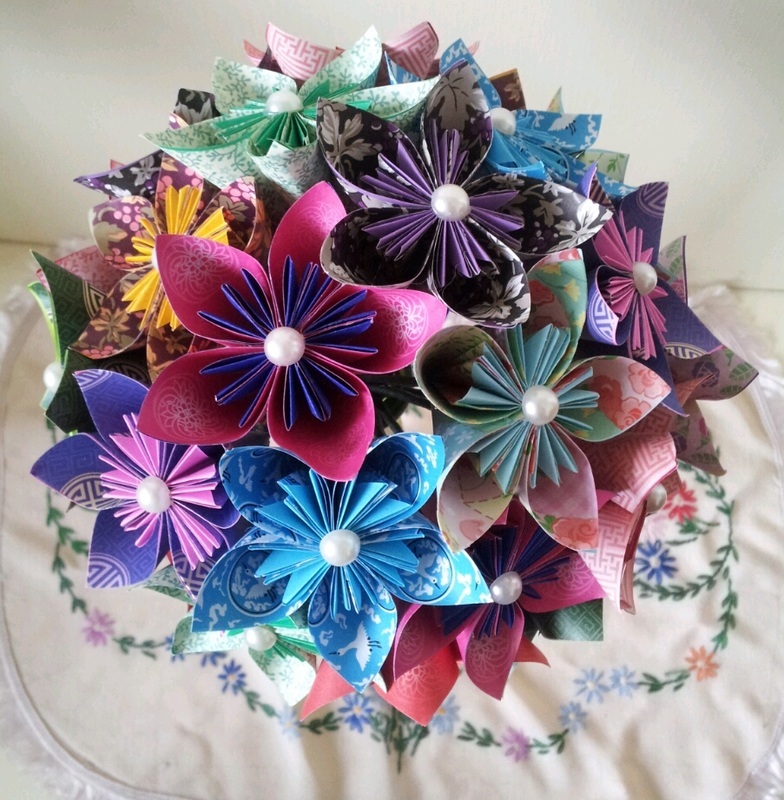 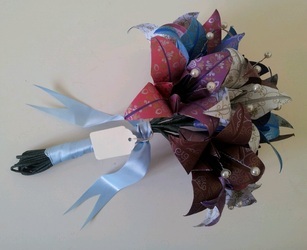 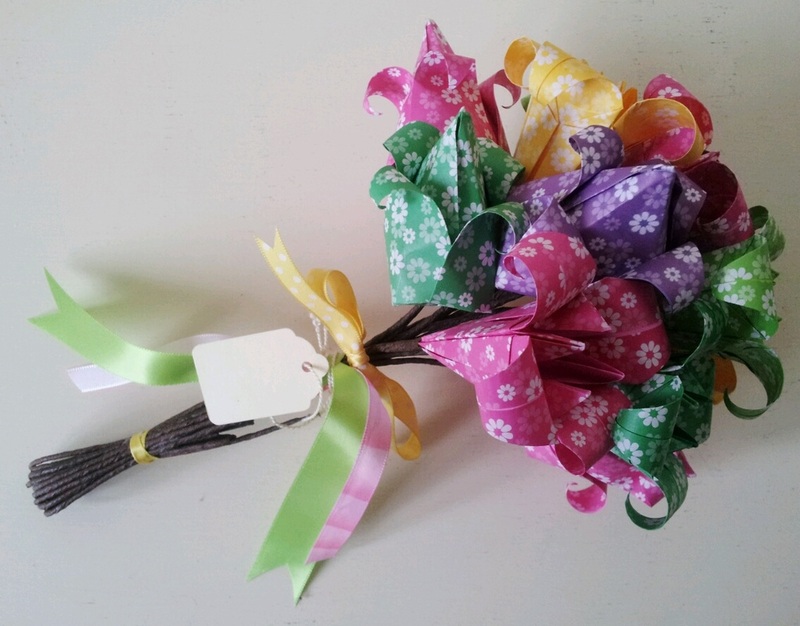 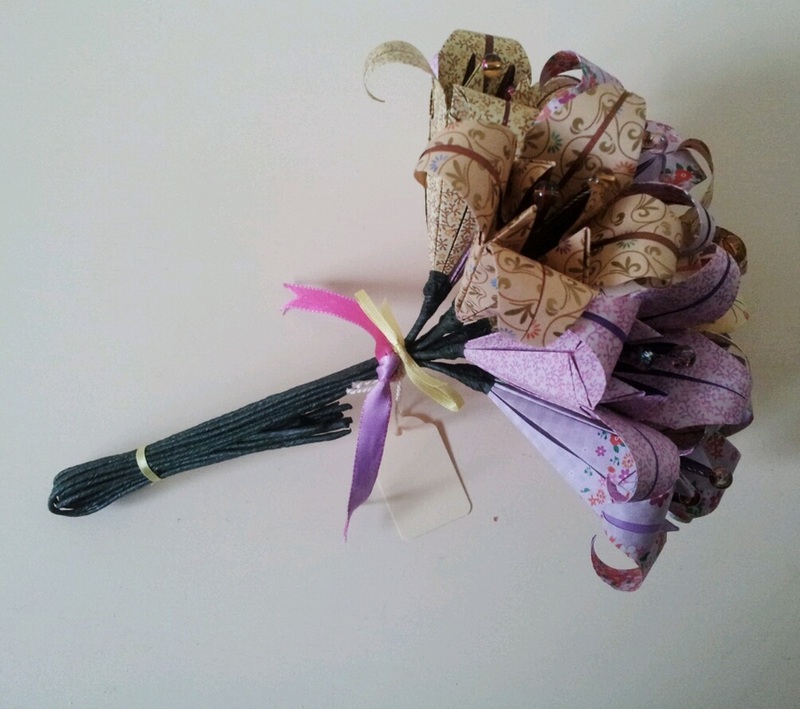 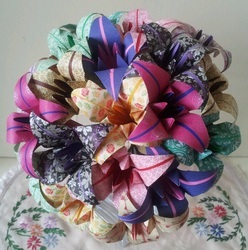 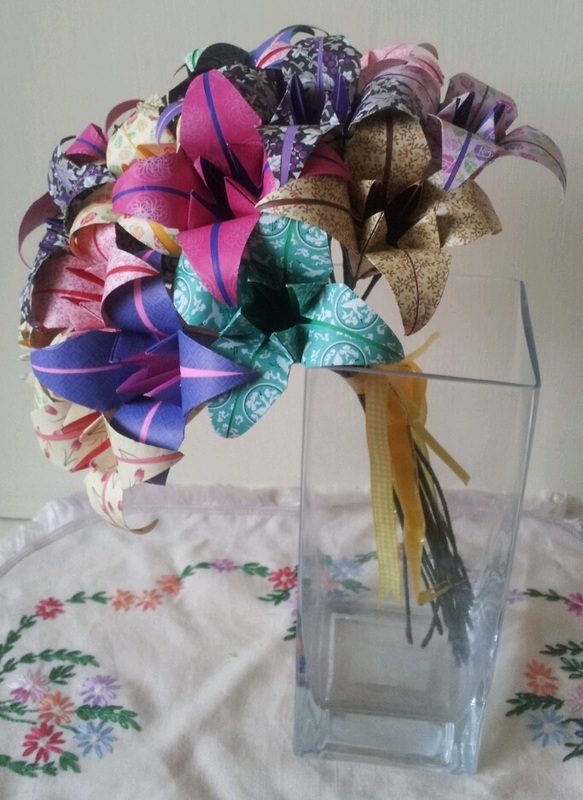 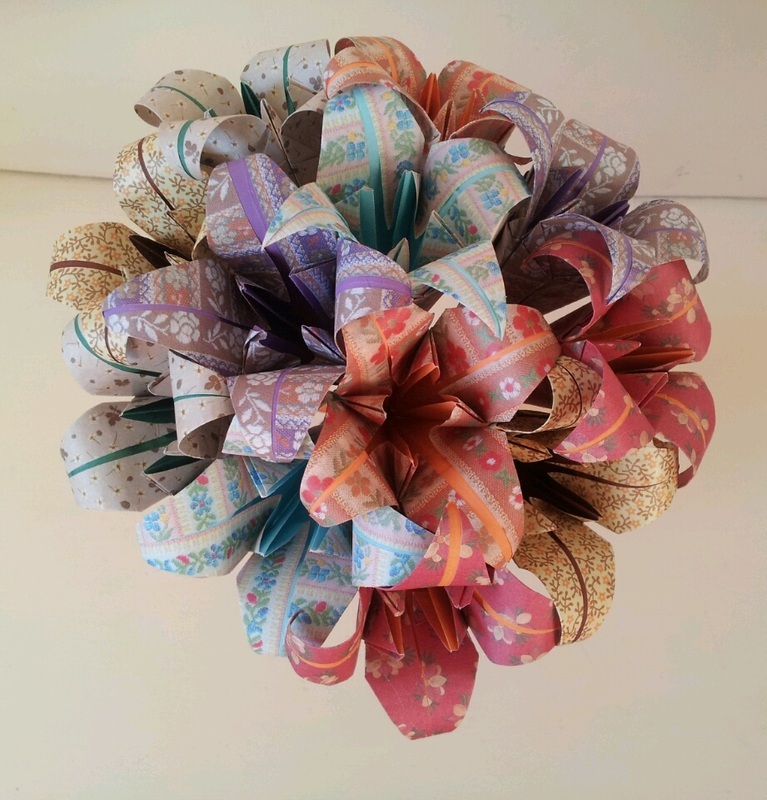 Mixed Lily Daisy Bouquet All Colours Available. 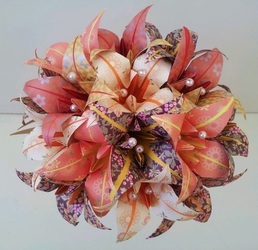 Large Colour Burst Lily Bouquets . 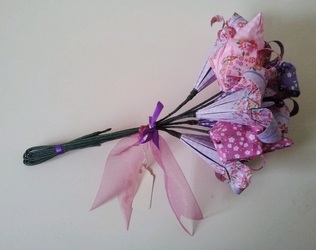 Lilac Pink Dream Tulip Lily Flower Bouquet #1 , lilies with lilac and purple pearl centres. 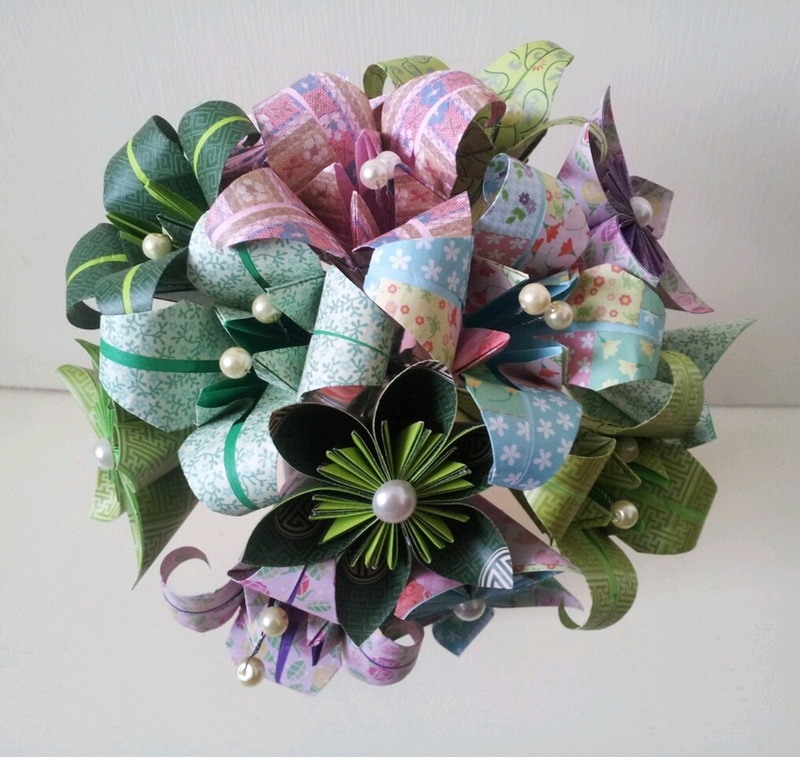 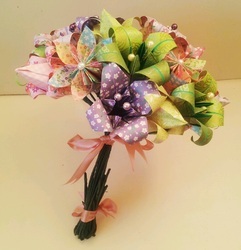 Lime Lilac Dream Flower Bouquet Half Pearls. 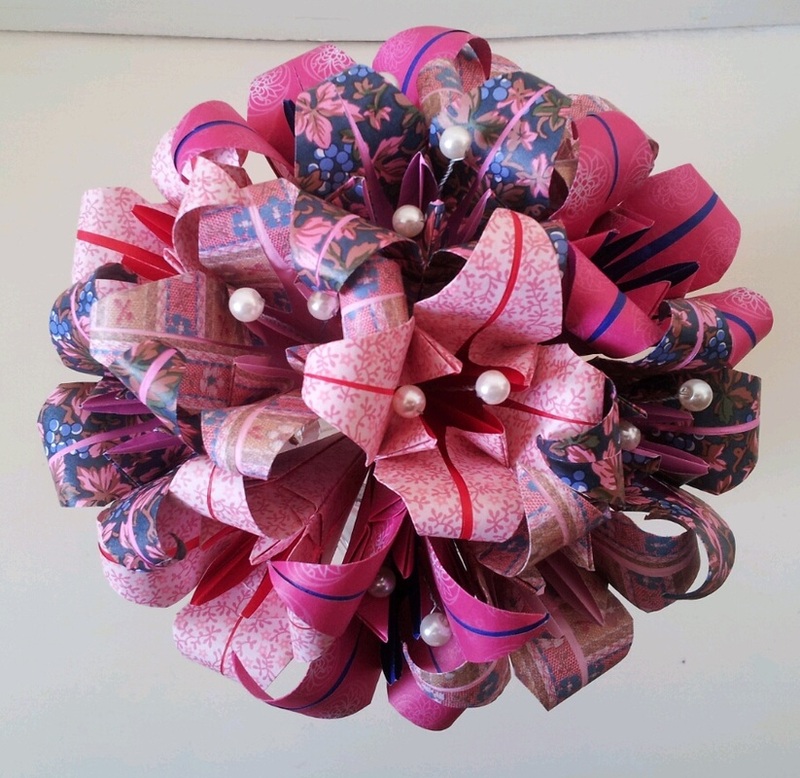 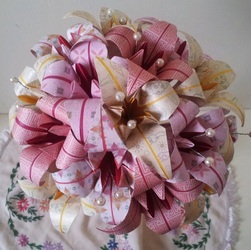 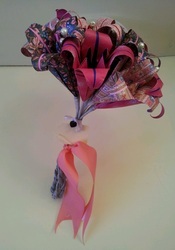 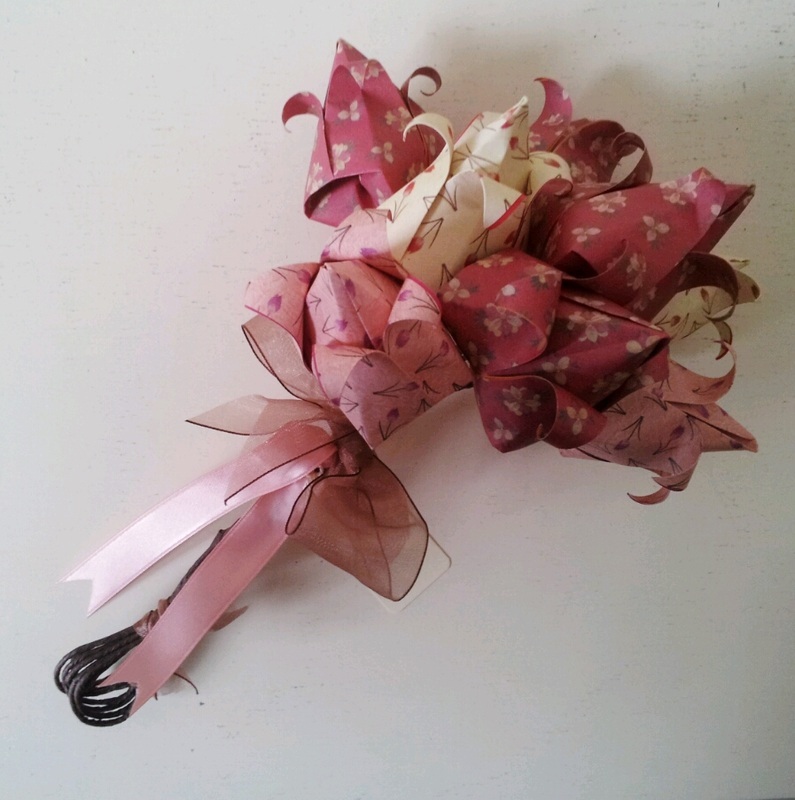 Pretty in Pink Lily Flower Bouquet With Half Pearls, Half Plain. 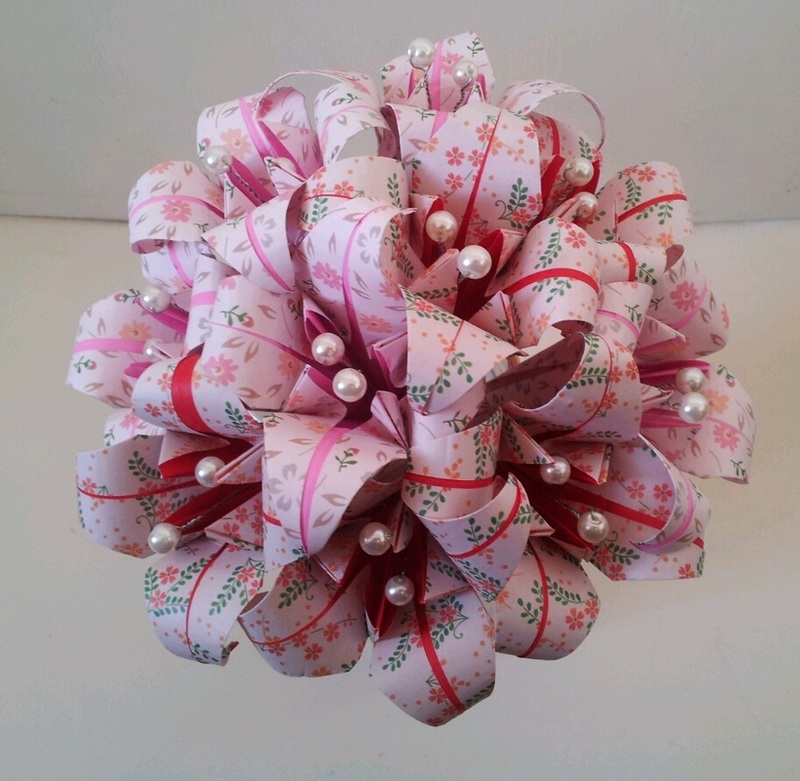 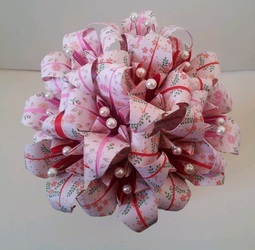 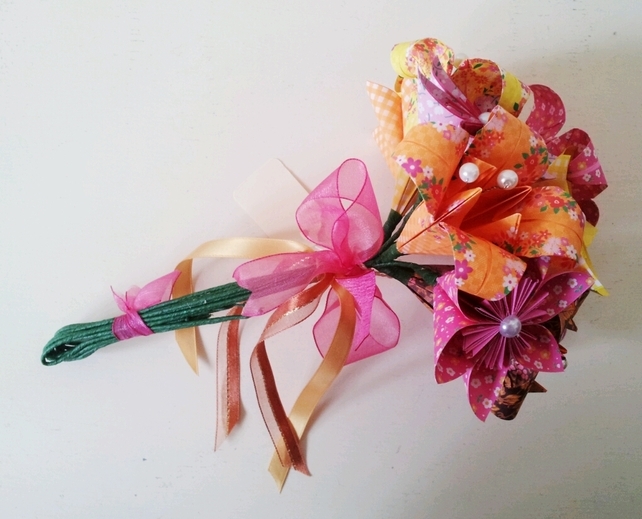 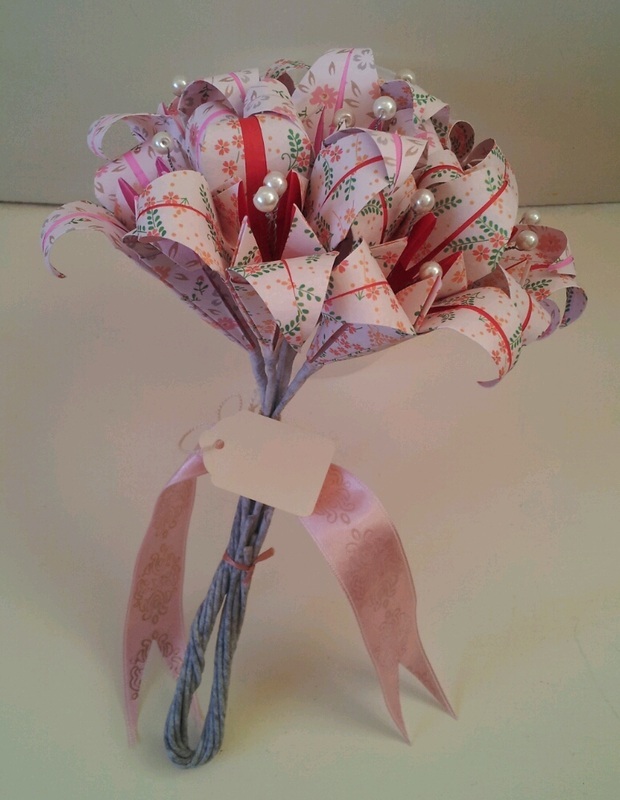 Sorbet Cream Paper Lily Flower Bouquet With Pearls. 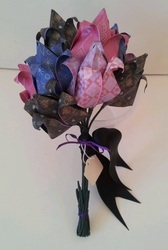 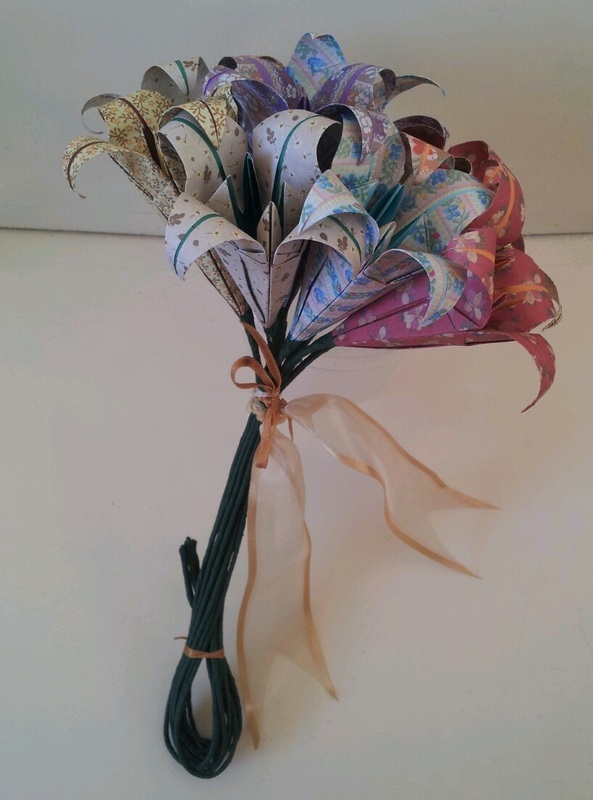 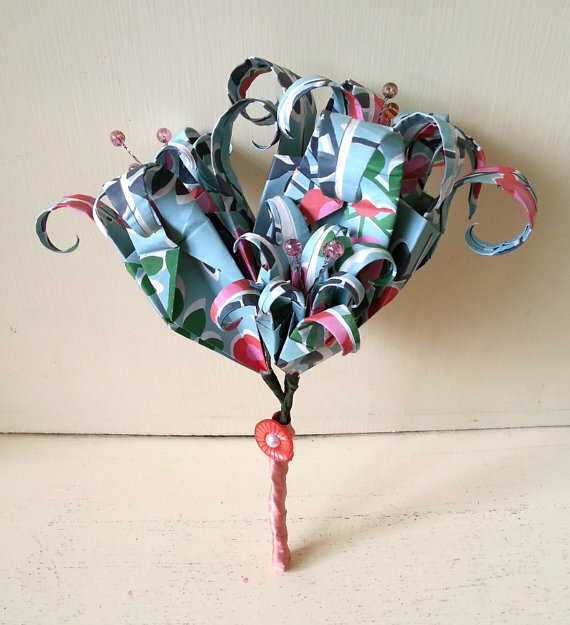 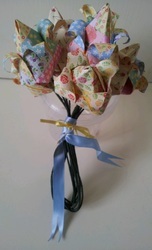 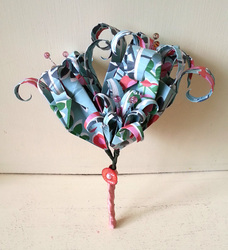 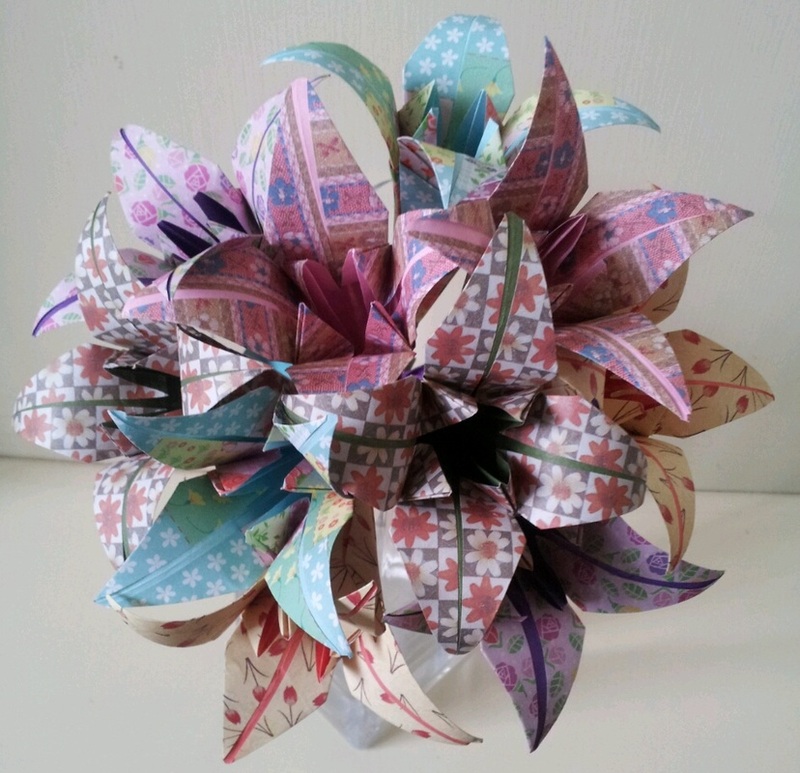 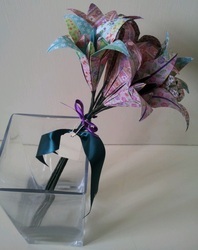 Midnight Tulip Paper Flower Bouquet. 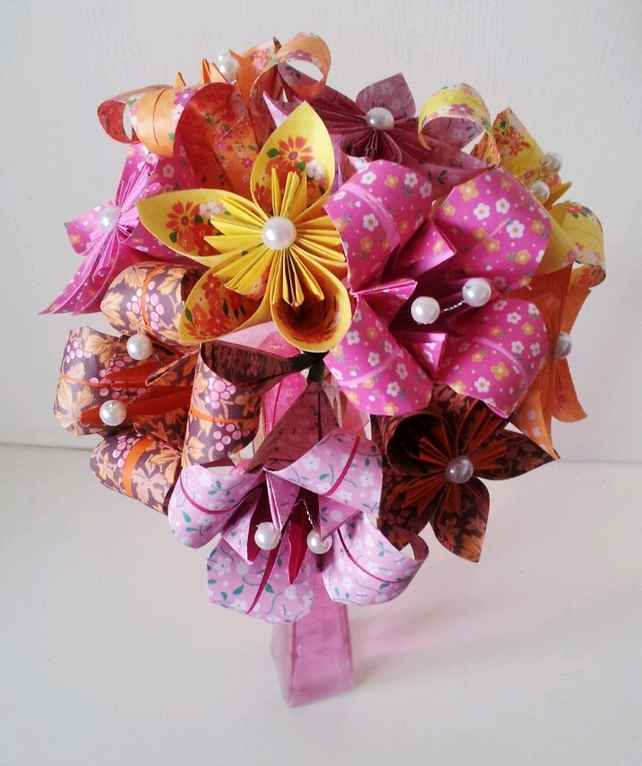 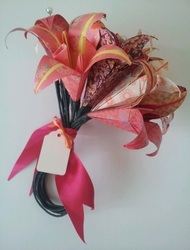 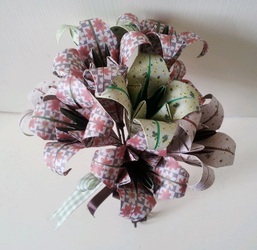 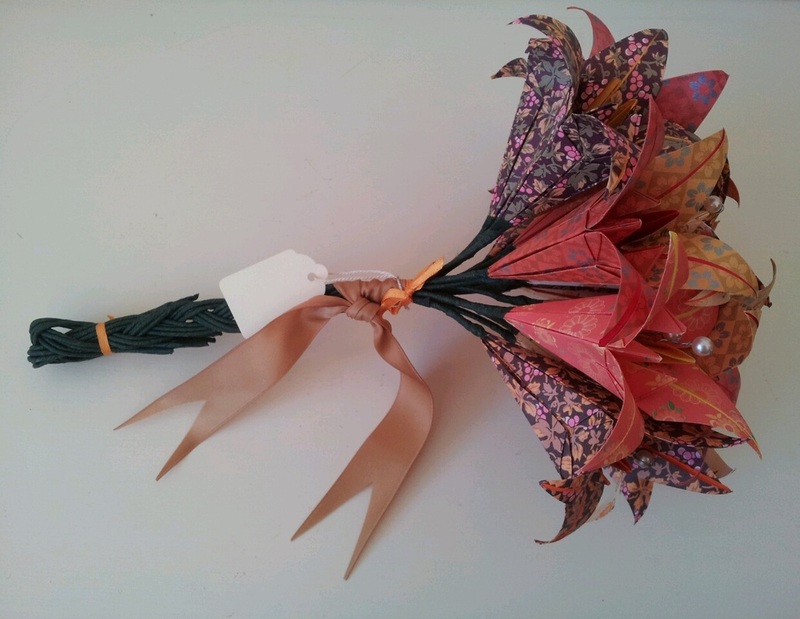 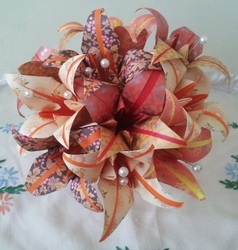 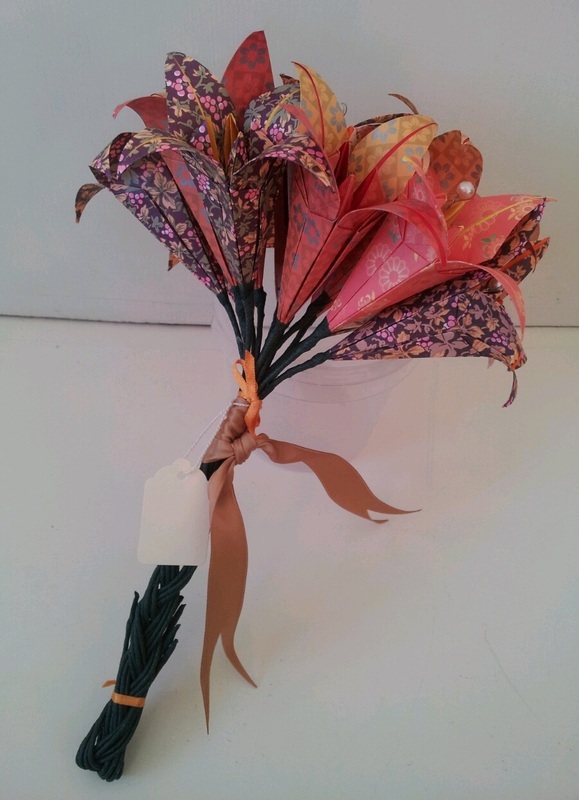 Autumnal Berries Paper Lily Bouquet With Half Pearls , Half Plain Lilies . 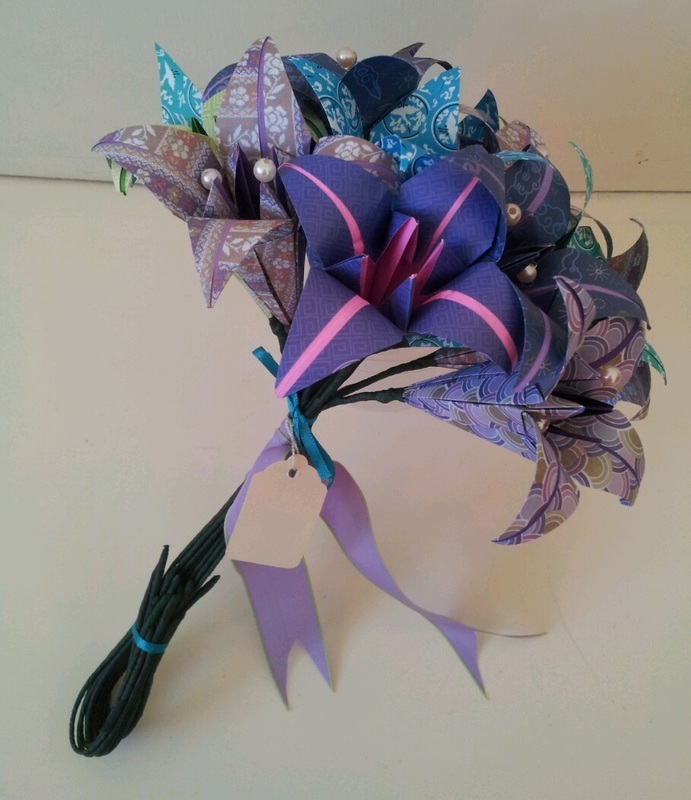 Lilac Cream Dream With Glass Bead Stamen. Vintage Apple and Mushroom Ditsy Floral Print Lily Posy. 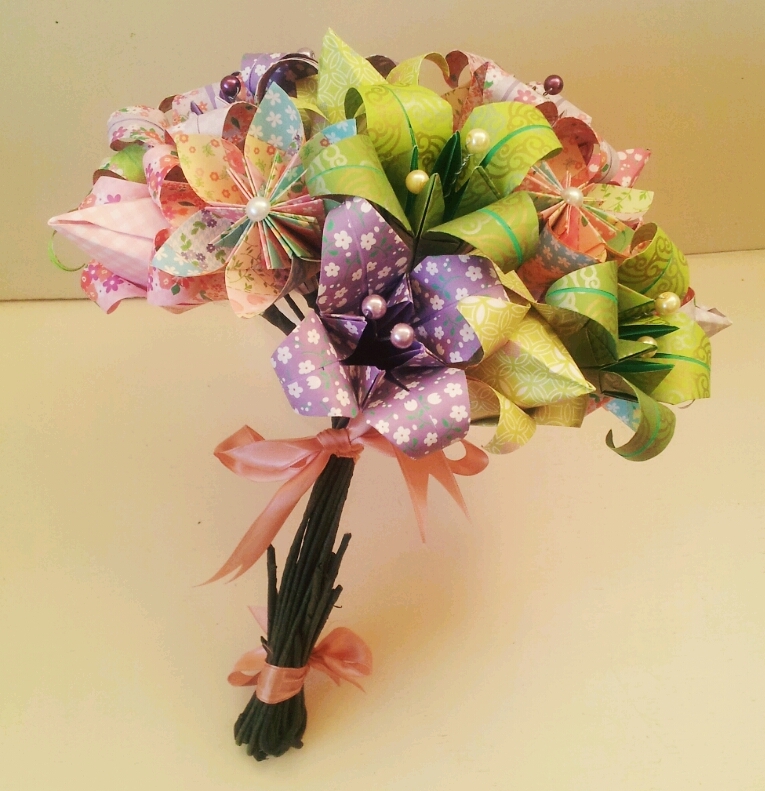 Fantasy Flower Bouquet, Mix of Tulips, Daisies, Lilies with Pearls. 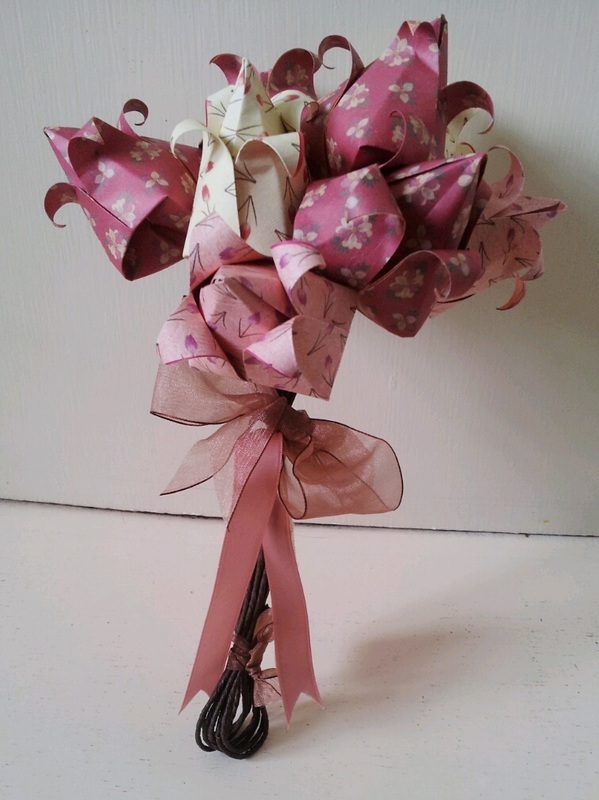 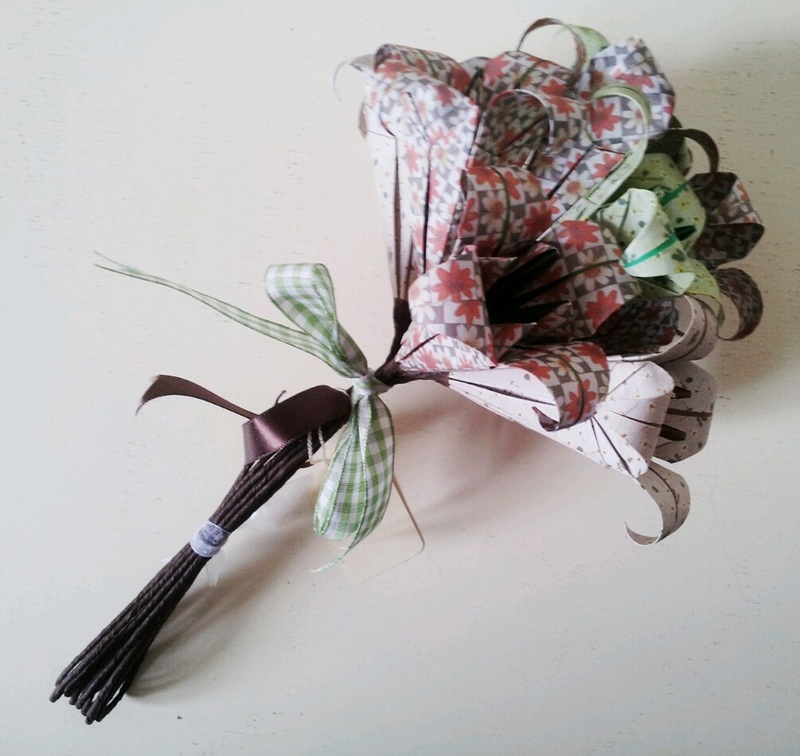 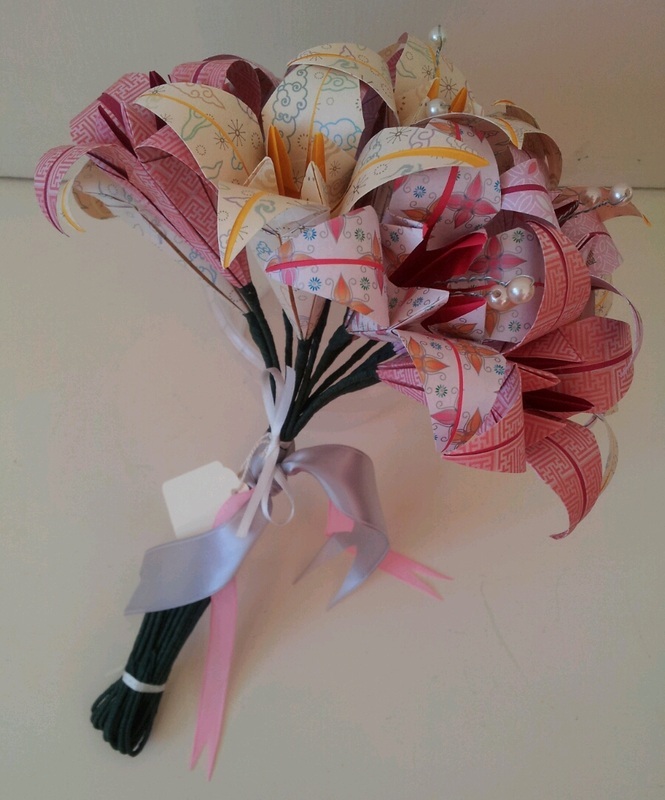 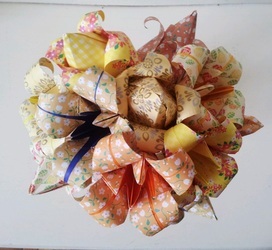 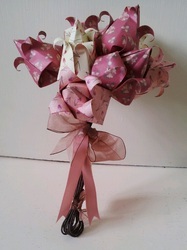 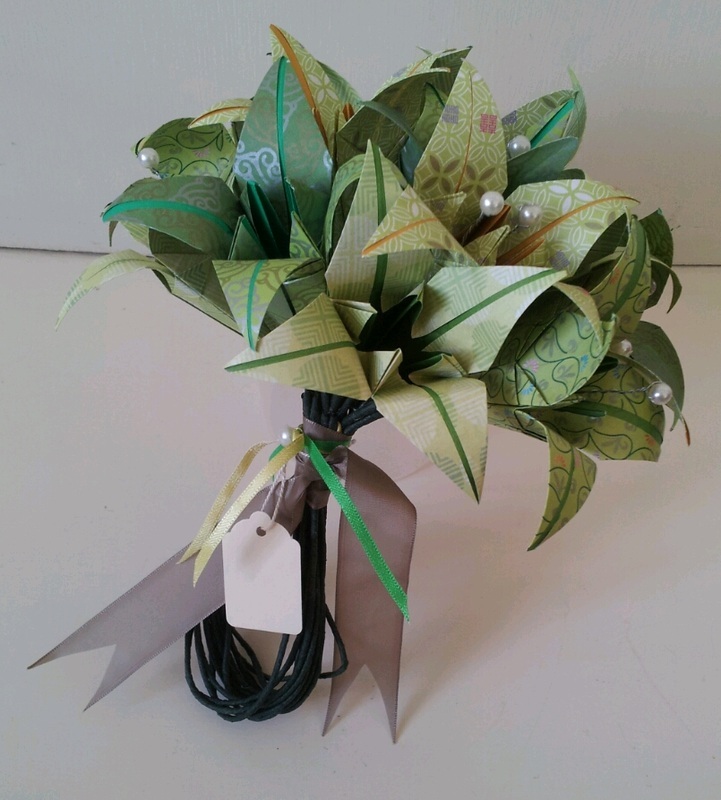 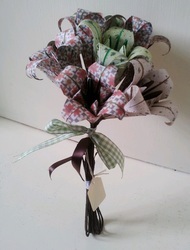 Cream Tulip paper Flower Bouquet. 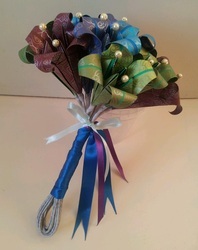 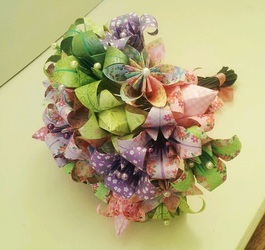 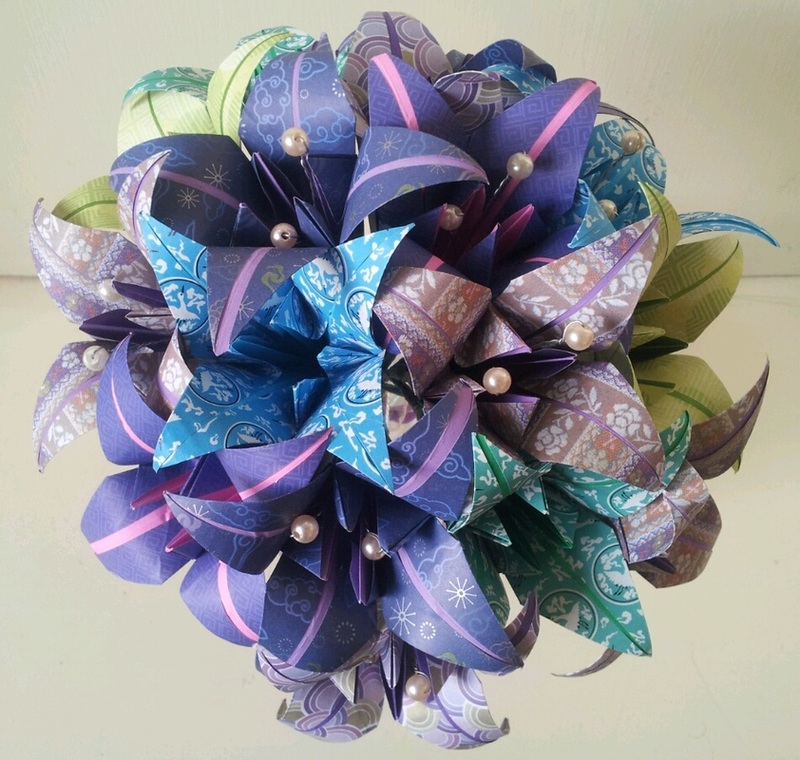 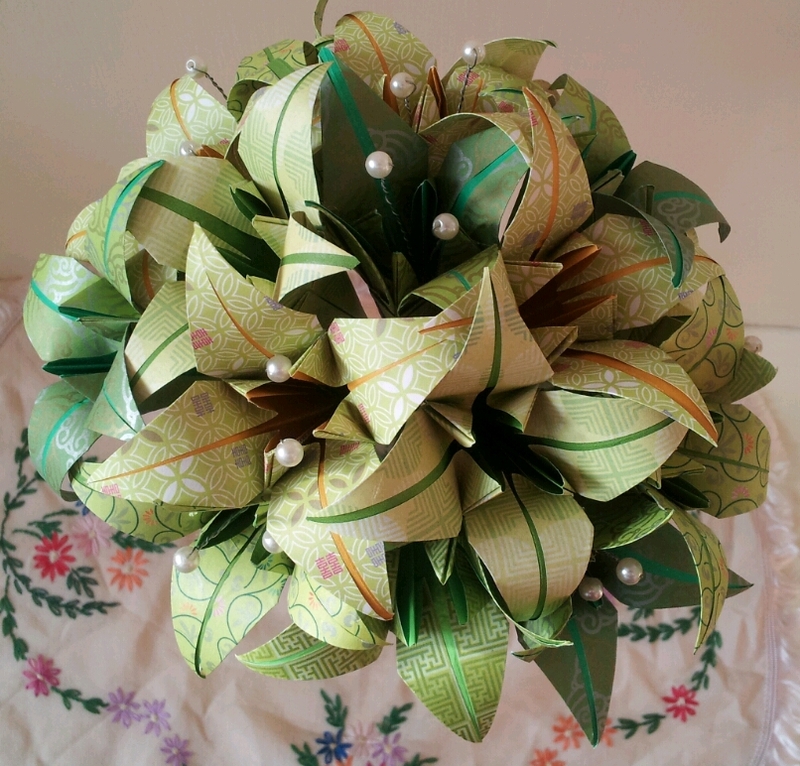 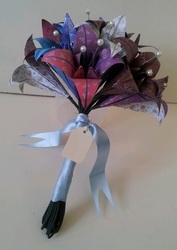 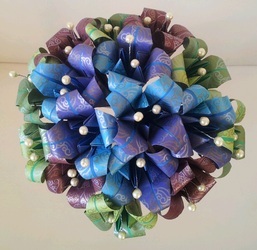 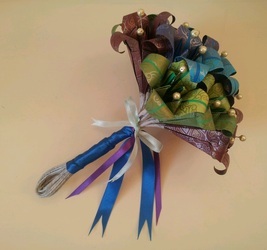 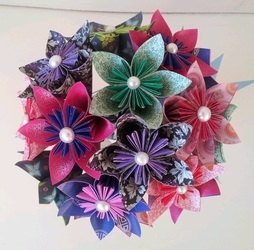 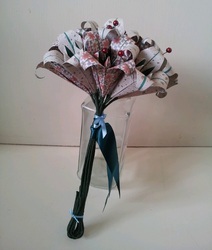 Peacock Feather Theme Paper Lily Bouquet With Pearls. Spring Daisy Patterned Lily and Tulip Posy. 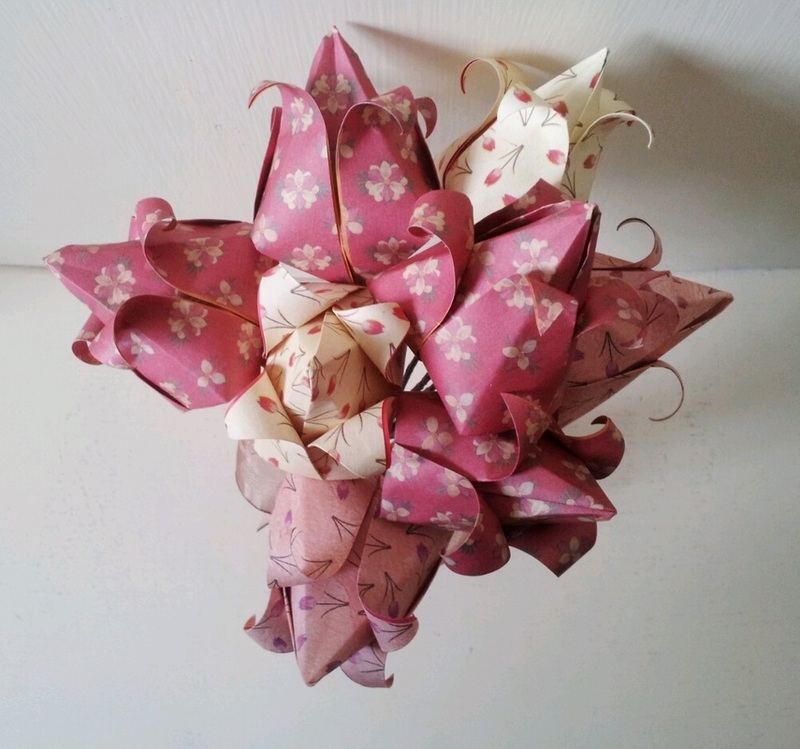 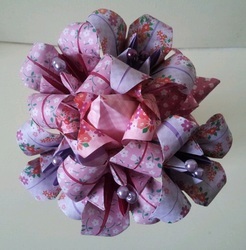 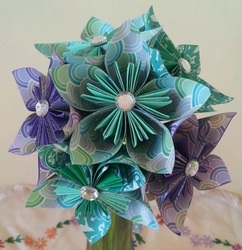 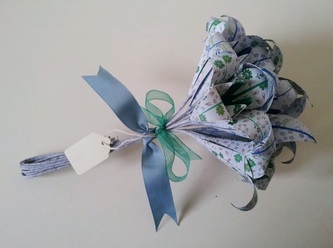 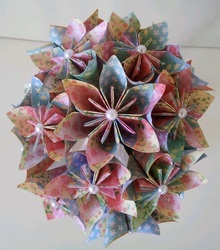 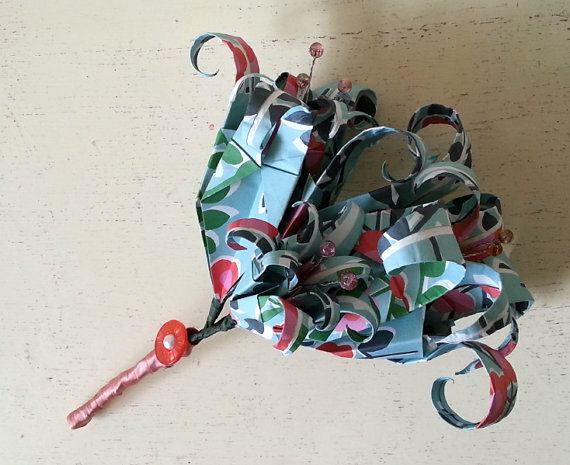 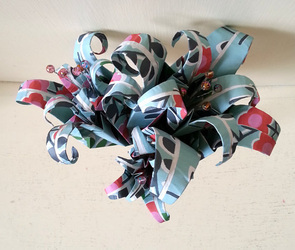 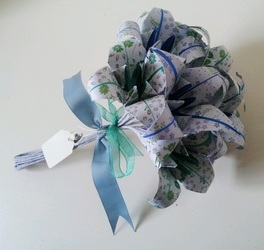 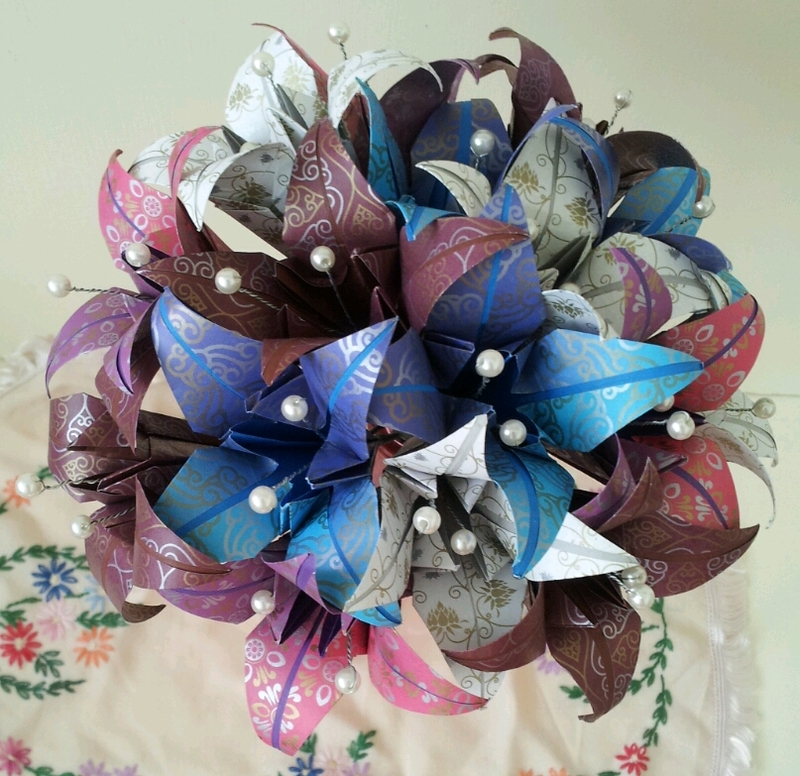 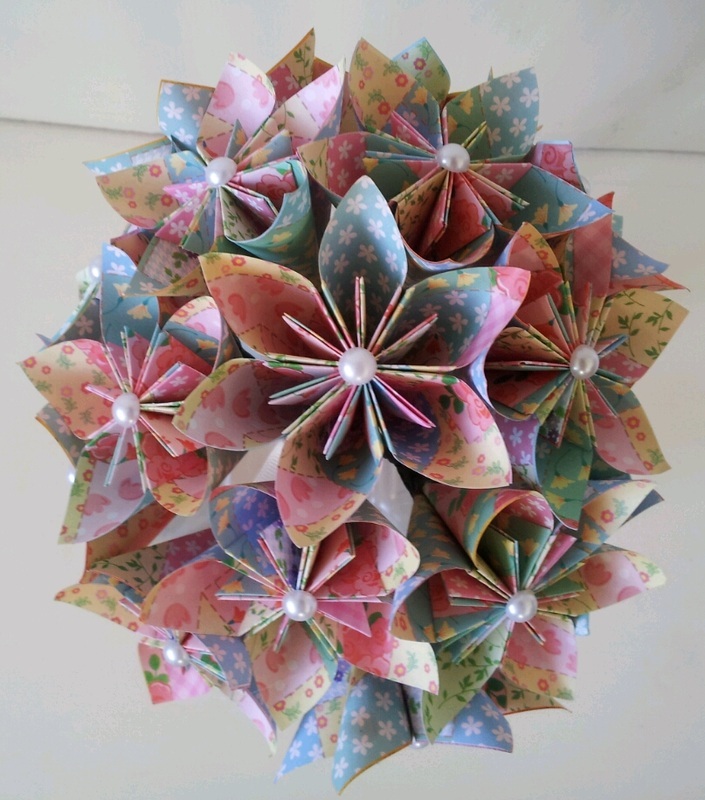 Iced Aqua Plum Paper Lily Flower Bouquet With Full Pearls. 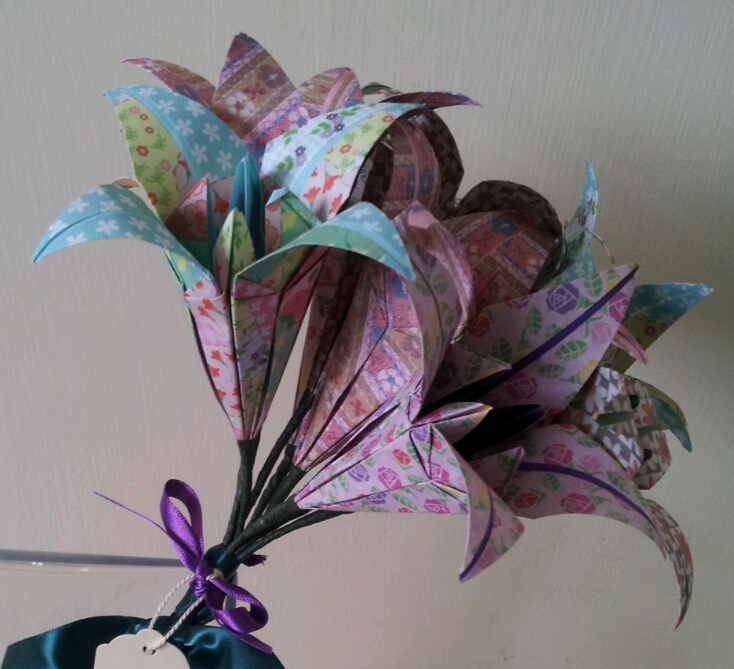 Spring Lily and Tulip Posy. 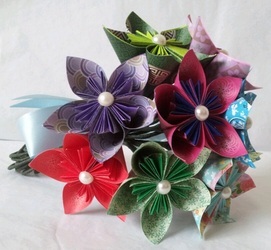 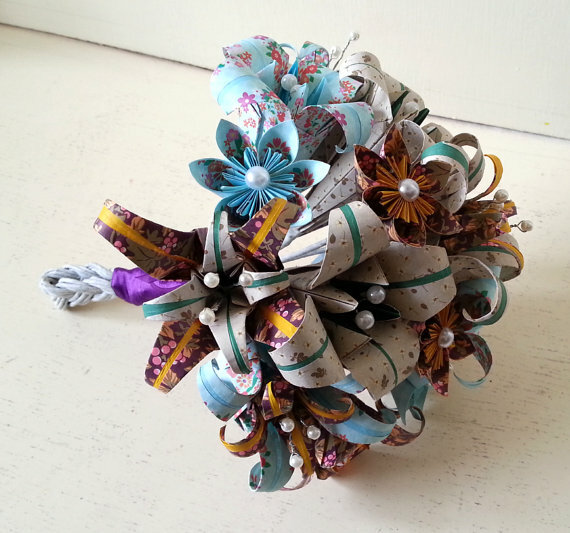 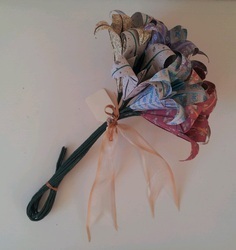 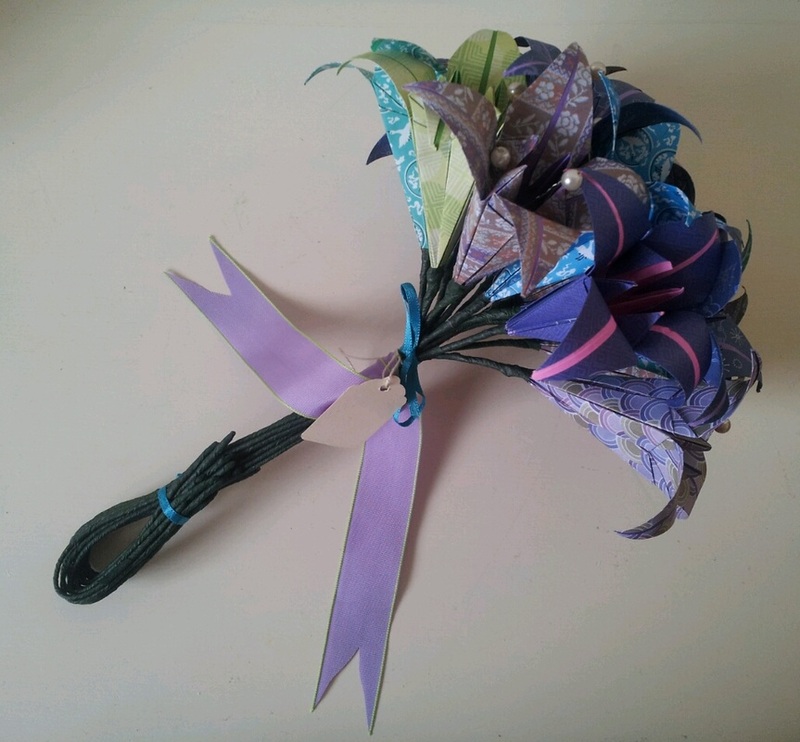 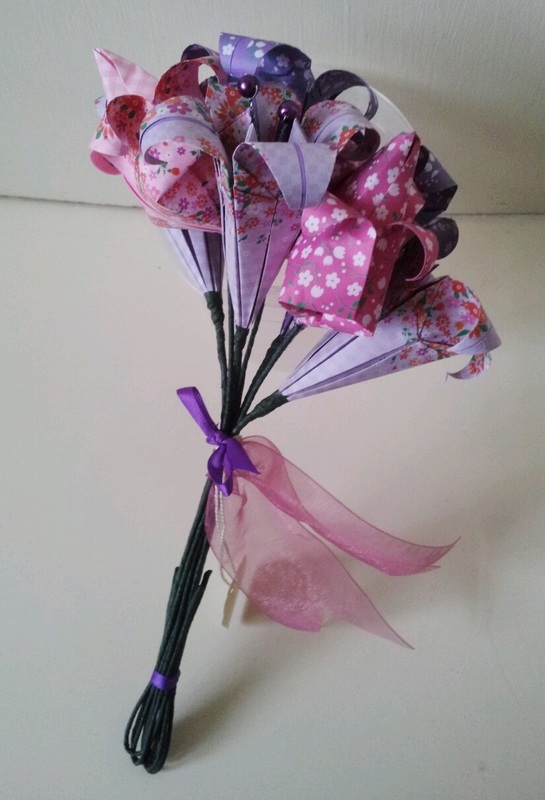 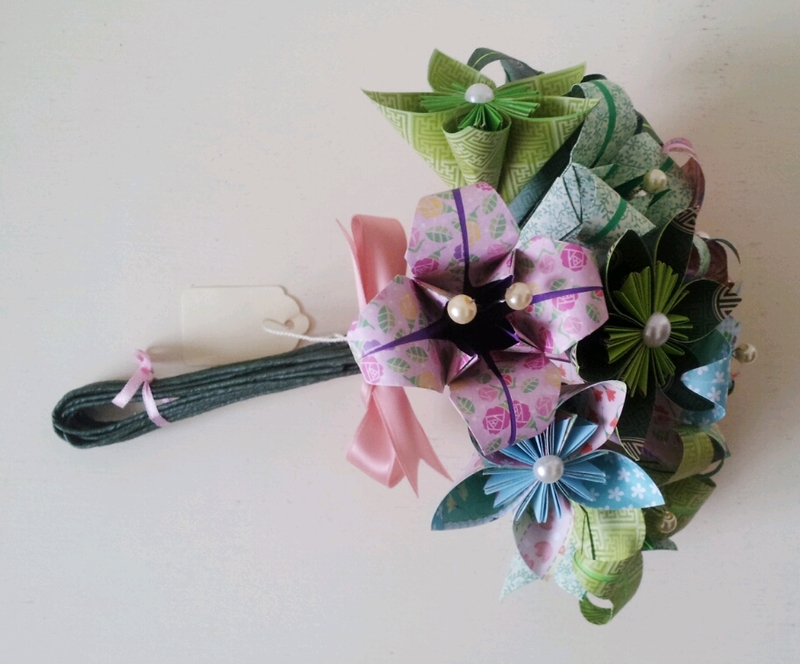 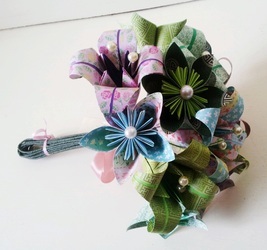 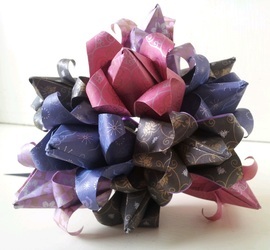 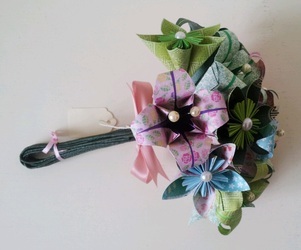 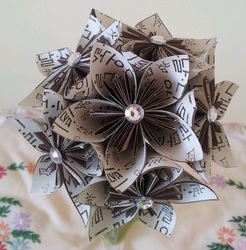 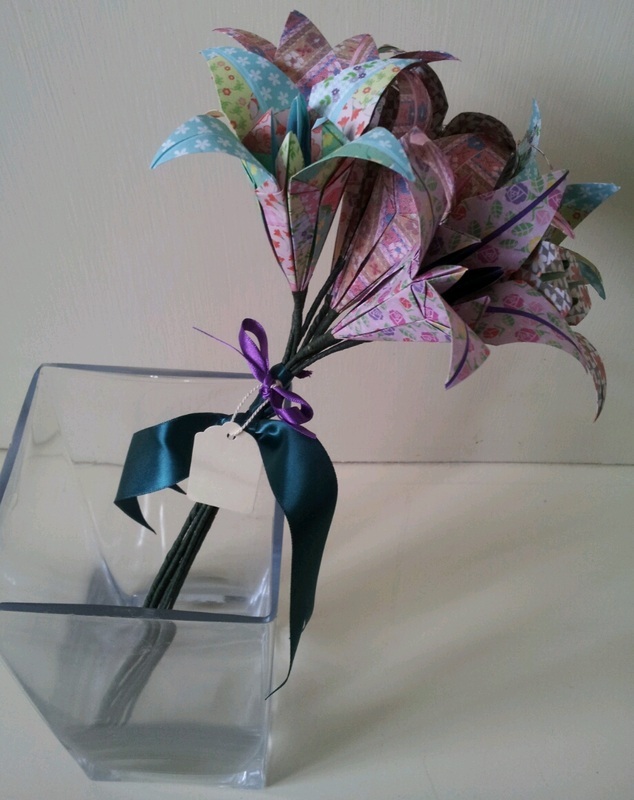 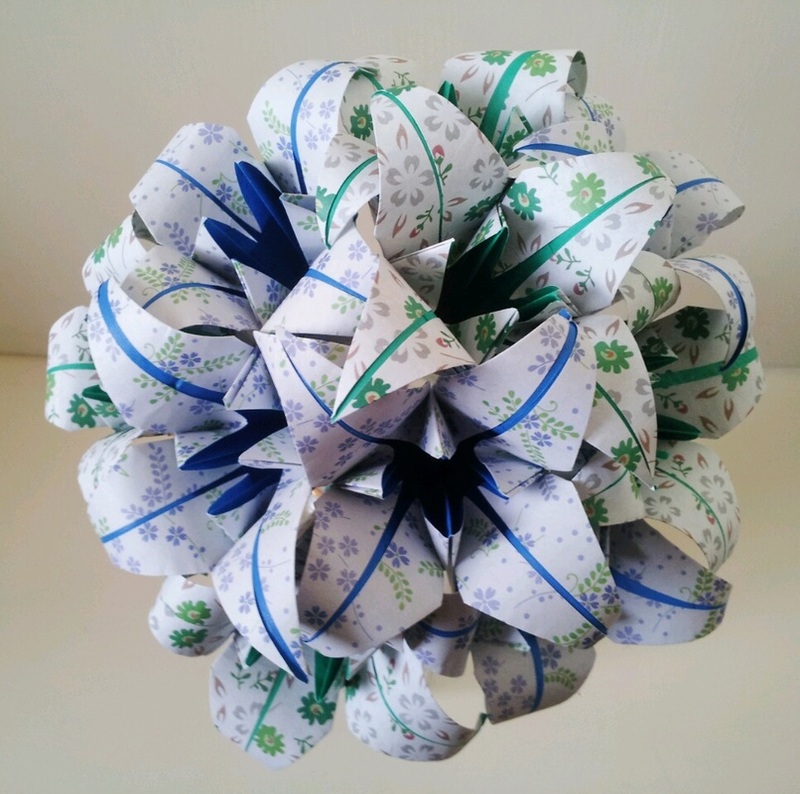 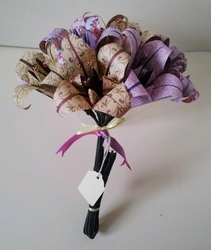 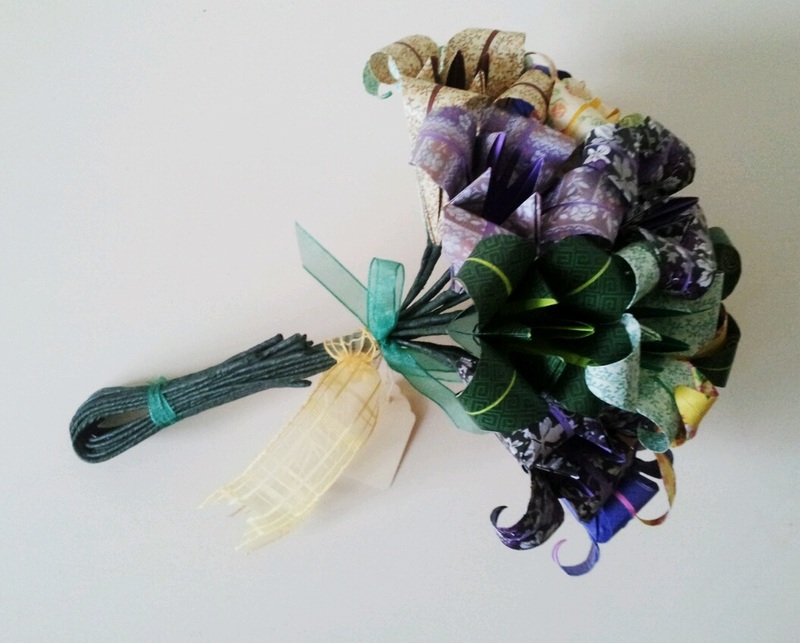 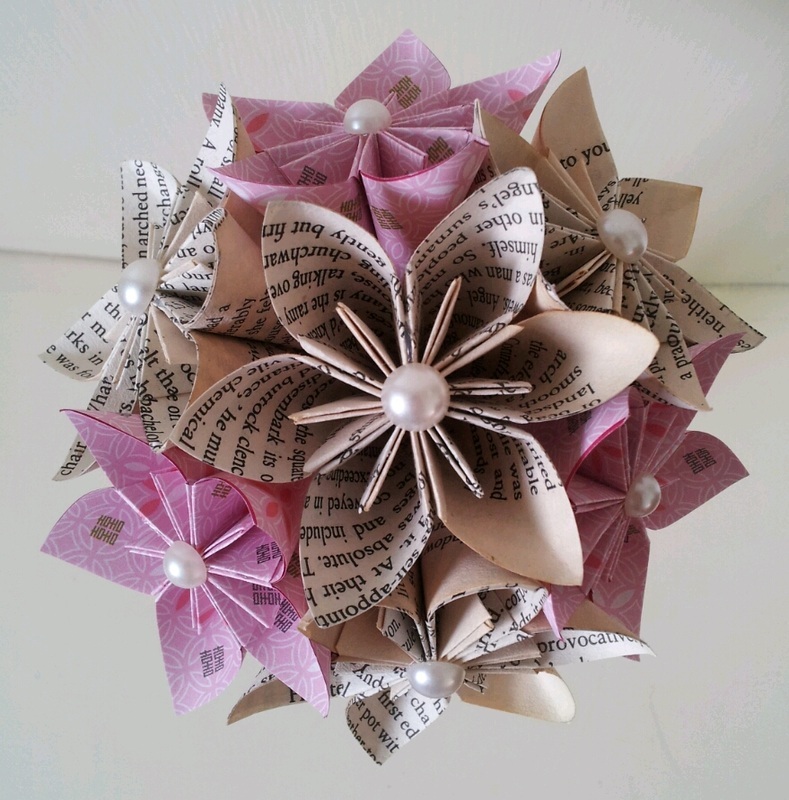 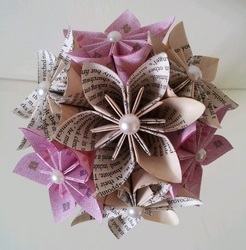 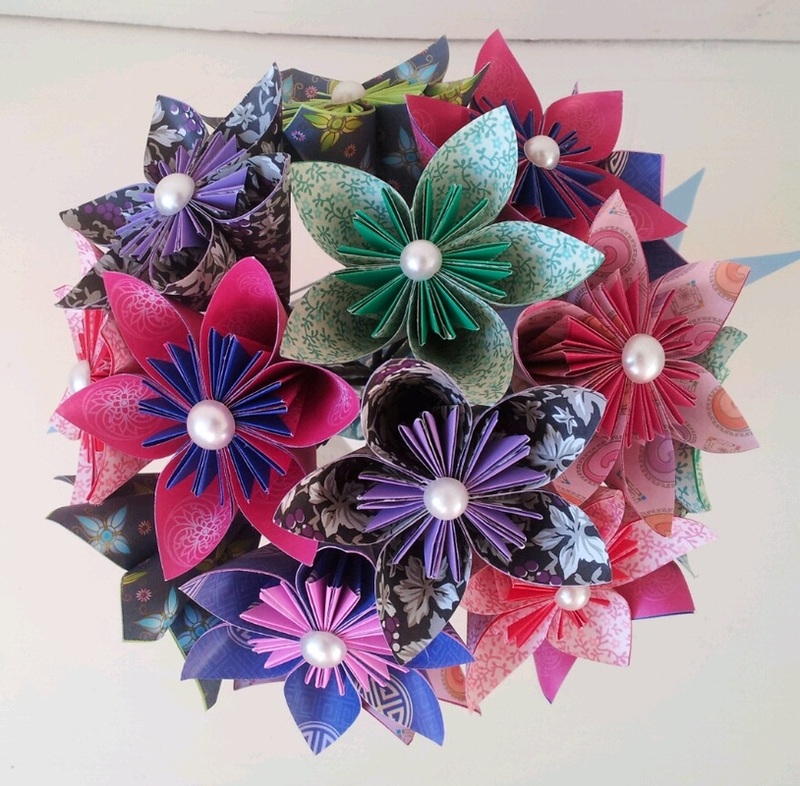 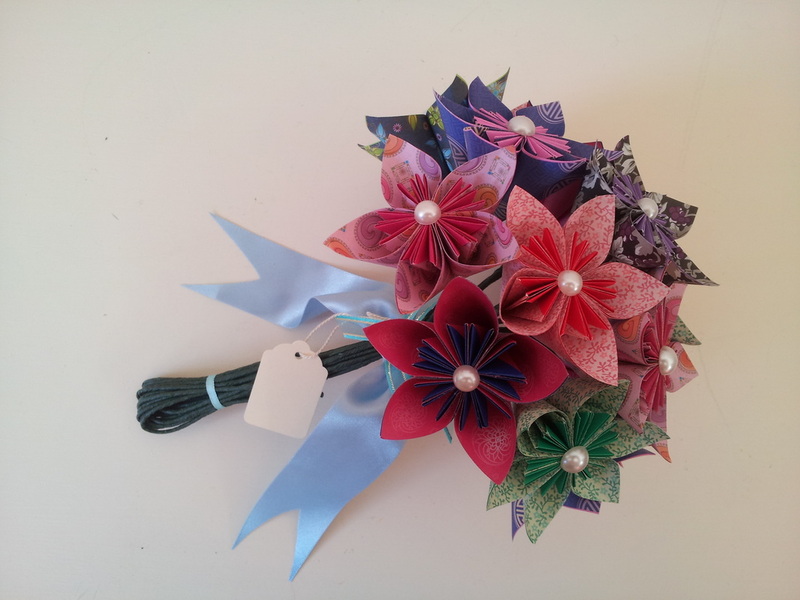 La Viola Paper Lily Flower Bouquet With Pearls. 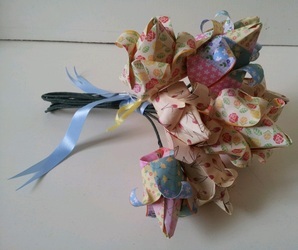 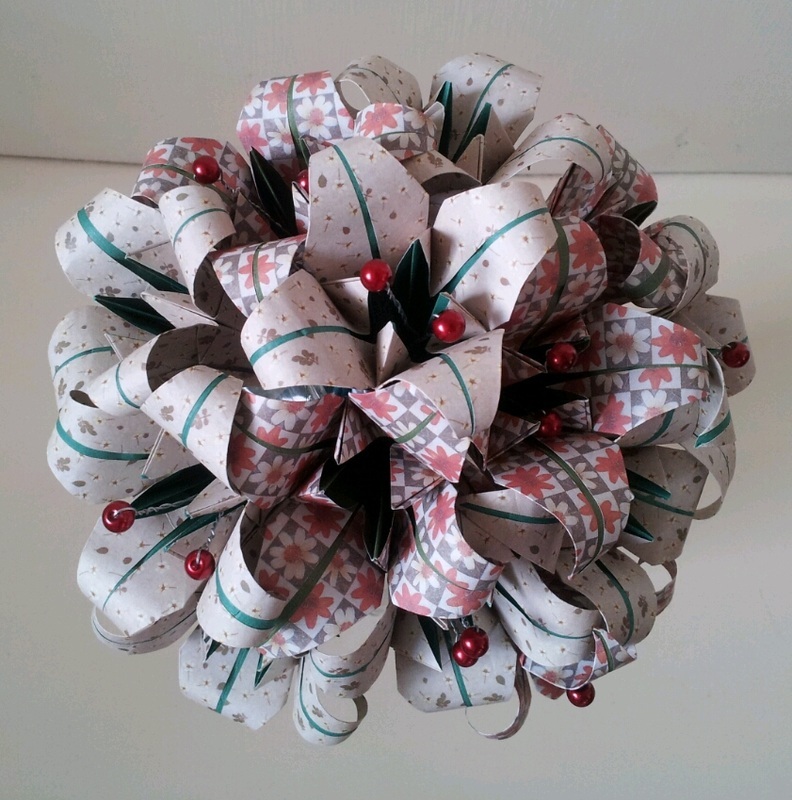 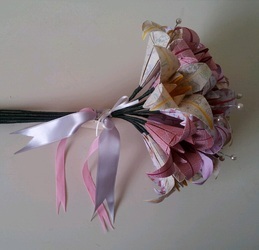 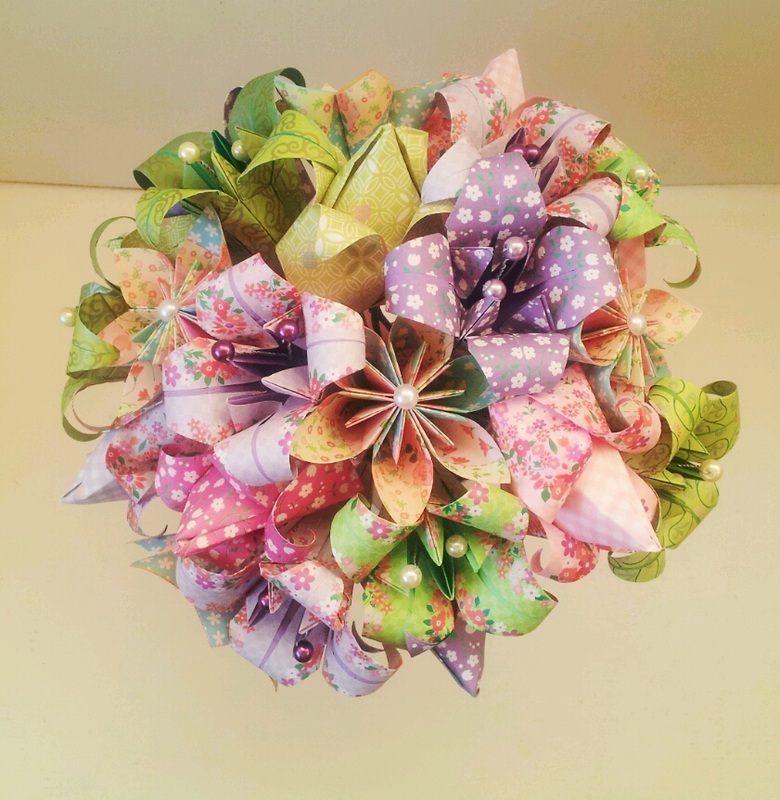 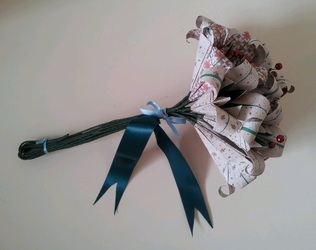 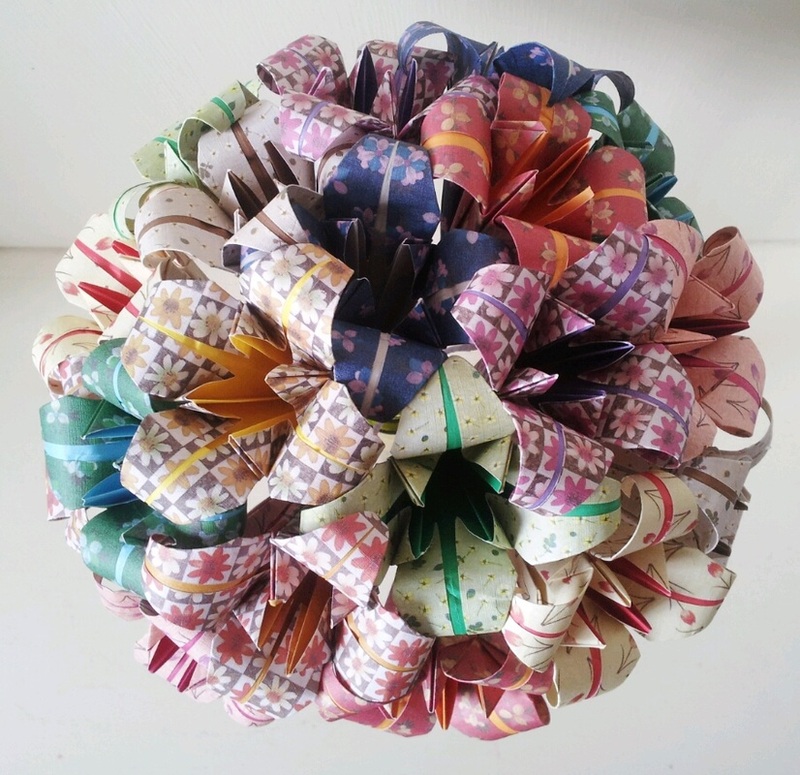 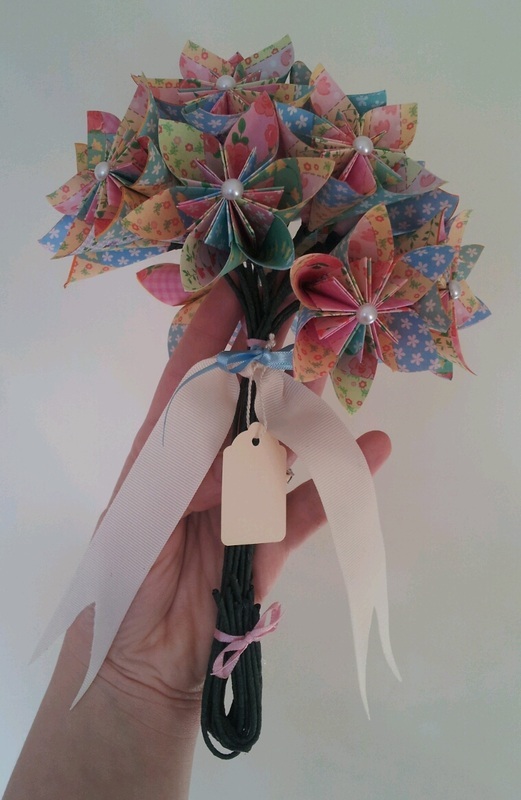 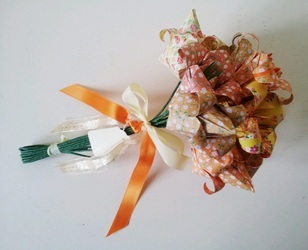 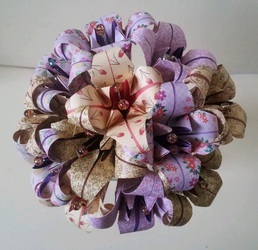 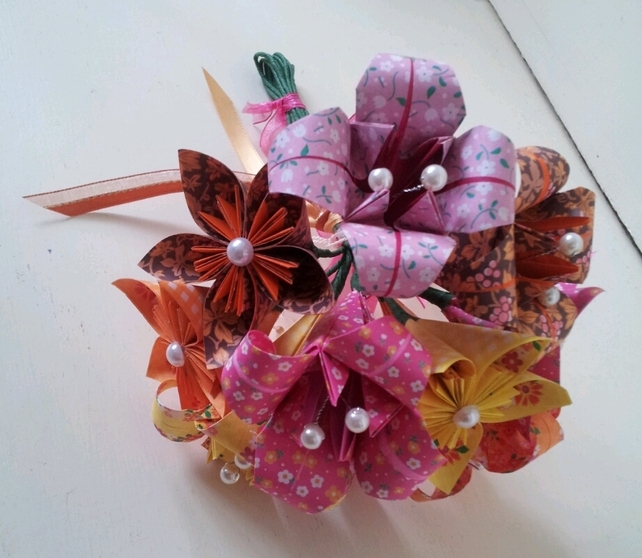 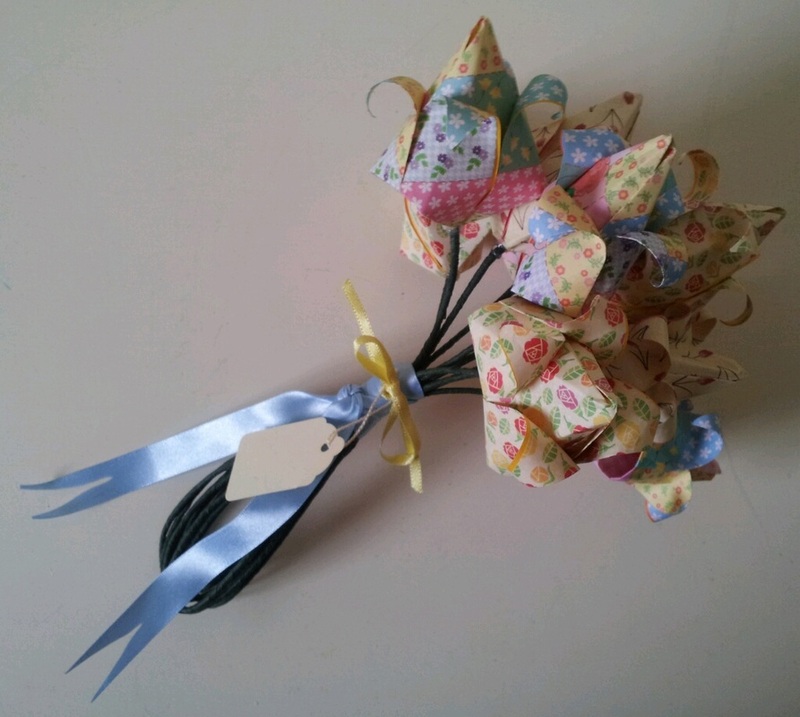 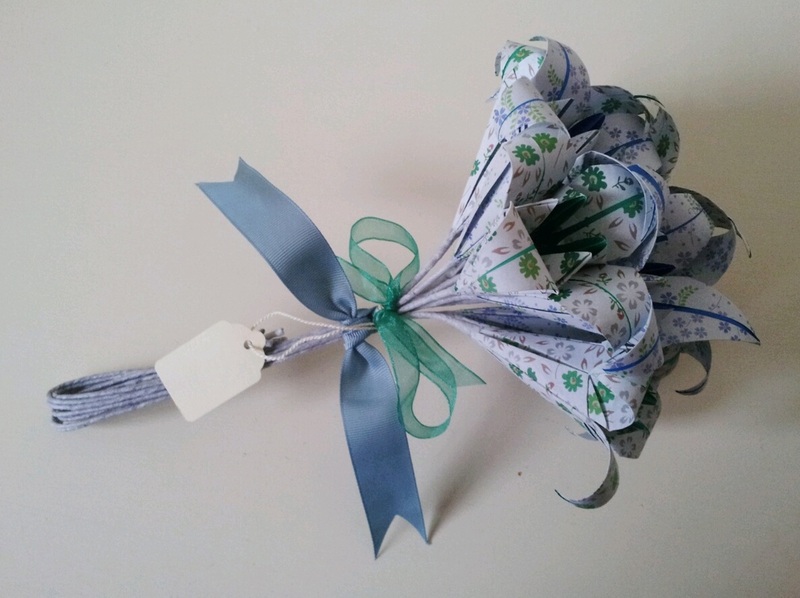 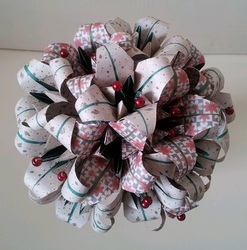 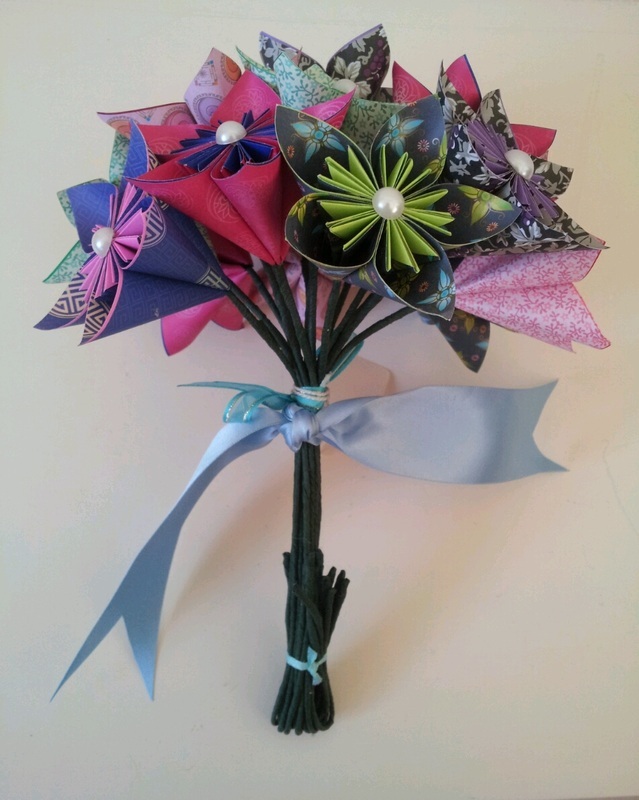 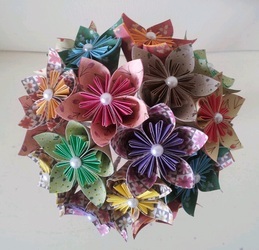 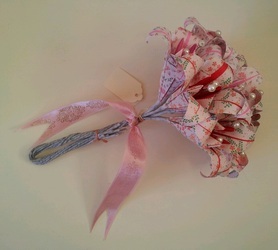 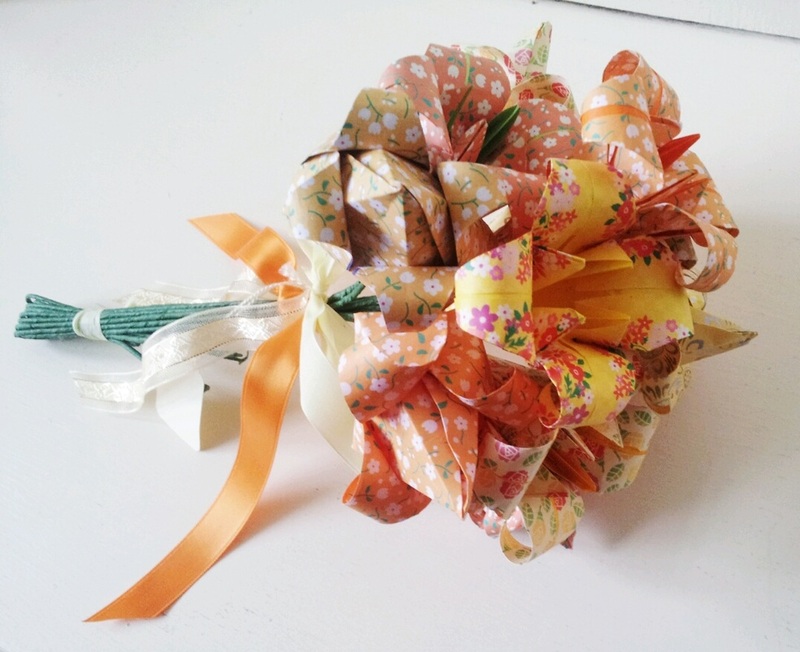 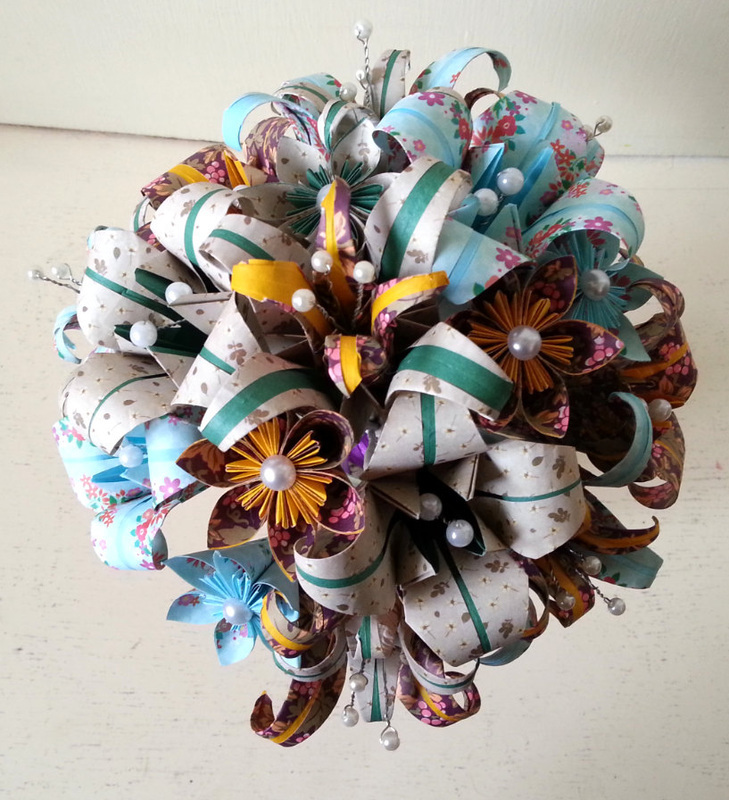 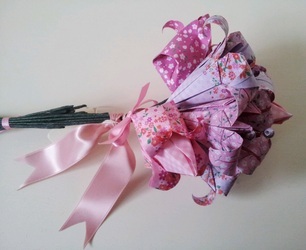 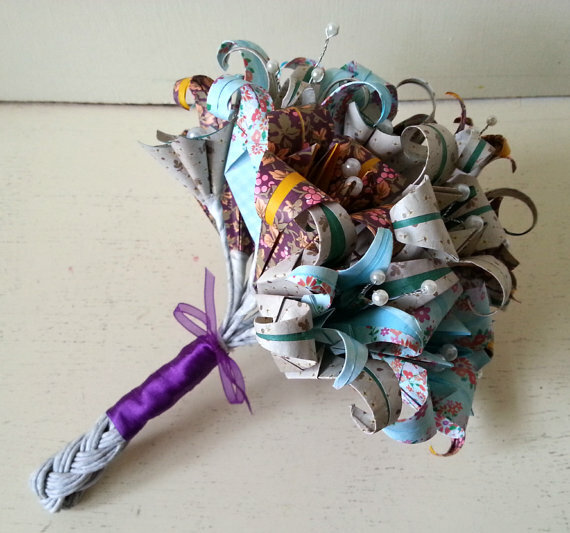 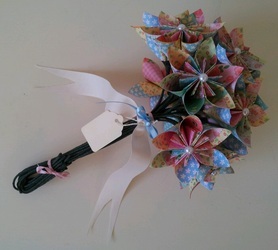 Mixed Petite Daisy Paper Flower Posy (Bouquet).